on the actual use (flow) of this ecosystem service measured using both geocache visitation data and questionnaires with geocachers that allow for a better understanding of their motivation determining ecosystem service flow. Green engine of development, metropolitan region of knowledge. The main objective of our BIOVEINS proposal is to use functional diversity (FD) to highlight the mechanisms underpinning the link between GBI, taxonomic diversity (TD) and ecosystem services (ESs) provisioning, and to provide, together with local stakeholders, the ecological and interdisciplinary knowledge to identify the critical features of GBI, to guide the establishment, management and restoration of GBI, and to mitigate the effects of major urban global challenges, like habitat fragmentation, air pollution, and urban heat island. A climate proof city that is economically strong and attractive. Rotterdam aims to be 100 % climate-proof by 2025. This is the goal expressed in the city’s climate change adaptation programme. This means that by 2025 measures will already have been taken to ensure that each specific area is minimally disrupted by climate change both then and throughout the following decades. Furthermore, all urban planning in Rotterdam will take into account long-term foreseeable climate change while allowing for contingencies. Malaga takes the region's socioeconomic destiny in its own hands. Favoring of environmentally sustainable materials and solutions has been the main objective in the construction and services of Village Elves Hideaway. The newest ecological knowledge is integrated with mythology of Lapland in order to produce fascinating stories for guided tours. For this reason the green roof of Wise Elf´s house was built. Rapid urbanisation in the Philippines has given rise to many challenges as increasing infrastructure developments contribute to reduced open spaces and increased energy consumption. Both the public and private construction sectors are responding by reshaping the cityscape and designing building structures that are as environmentally responsive as they are beautiful and compact. Now, buildings should not only be sturdy and spacious, they should also be efficient in energy consumption and adaptive to the changing environment. The Strategy on adaptation to negative effects of climate change within the territory of Bratislava the Capital of the Slovak Republic (2014) and the forthcoming Action plan for adaptation to climate change in Bratislava 2017-2020 focus on the following goals: assess the vulnerability of the city to most relevant climate change hazards, mainstream adaptation planning into policies, being a climate neutral city, support awareness raising and partnership in climate change adaptation and provide a framework for monitoring and evaluation of the adaptation process. One eye on the future, the other on the past. Karlovo is a small city, rich of surrounding natural forests, but a low level of urban green spaces. Provision of innovative energy efficient homes within resilient communities. Key documents for green space and NBS at local level are the Local Development Plan and the Open Space Strategy. The Local Development Plan seeks to protect and enhance the environment and address the challenge of climate change. This will be partly achieved by using new development projects to enhance the green network. The Plan also identifies areas for conservation, and the different functions and benefits of urban green space are considered in terms of their contribution to the environment as well as their social and economic value. The release of an open public space with such dimensions in a densely-built city district offered a unique opportunity to restore the connection among the surrounding areas with a solid green lung. The site was previously a brownfield land that needed remediation. (During the entire remediation operation, approximately 100,000 m³ of land was excavated) However, even the residents of the neighboring areas faced with initial skepticism the usefulness of a park in the specific location. The Park 500 Natural Treatment System (NTS) was constructed as a voluntary effort to provide a low-energy, low-maintenance alternative to reducing nitrogen and phosphorus in the process’s wastewater, which is high in nitrate-nitrogen, organic nitrogen and total phosphorus. A network of attractive open spaces as a counterpoint to the region's grey infrastructure. The described situation was an opportunity for the nature based solutions (green wall creation) implementation. Particularly, based on the scientific data available from more than 160 Yerevan kindergartens specific one was identified and selected ensuring the maximum benefits for the kindergarten territory, its sounding and children’s health. The area is characterized by by the presence of two separate lakes connected by a tree-lined pathway. The first lake is used for the fishing while the second one is characterized by a more spontaneous development of wild flora and is the home of different bird species. The Budapest 2030 Long-Term Urban Development Concept. This strategic document aims to protect and increase green areas, so as to ensure ecological connectivity and develop walking and cycling corridors. It also promotes greater investment in brownfield sites, the prevention of urban sprawl, and 'smart' city development. The Integrated Urban Development Strategy 2020. The project aims to transform an old quarry in a public park. The project foresees the renaturalization of the lakeshore, the realization of a peninsula, the filling of settling tanks created for the extraction activities and the realization weak slope in the nord sector that want connect the lake with the countryside. The Helsinki Metropolitan Area consists of the cities of Helsinki, Espoo, Vantaa and Kauniainen and it is located in the south coast of Finland. 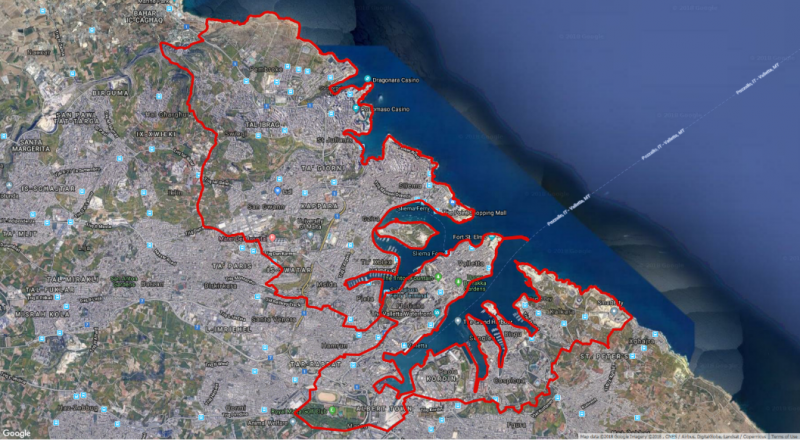 The Metropolitan Area covers 772 square kilometres and contains a total population of approximately 1.1 million. With about 19 per cent of the country’s population in just 0.2 per cent of its surface area, the housing density of the area is high by Finnish standards. Despite the intensity of land use, the area also has large recreational areas and green spaces. The objective is to make the Montpellier agricultural systems more resilient to the effects of climate change, such as increasing temperatures or droughts, water and biotic stresses and more extreme events. INRA (Institut Nantional de la Recherche Agronomique) researchers showed that the production from one hectare of a walnut/wheat mix is the same as for 1.4 hectares with trees and crops separated. This was a 40% increase in productivity, far better than any other innovation introduced by agronomists in the recent past. Building a sustainable and cohesive community based on environmental principals. During the EnRoute project, an assessment of the green infrastructure and key urban ecosystem services was carried out for the city of Valletta and the surrounding urban area. For the EnRoute project, the Valletta case-study area is defined by the boundaries of Malta’s Northern Harbour and the Grand Harbour Local Plan areas. Urban land uses make a significant proportion of the case-study area (Figure 1). This study is the first order estimation of urban ecosystem services in France by using i-Tree Eco model. The aim is to assess ecosystem services provided by trees by characterizing the structure of urban trees in Strasbourg city. The Volkswagen Group (the Group) is one of the world’s leading automobile manufacturers. The Group is comprised of twelve brands (Volkswagen Passenger Cars, Audi, SEAT, ŠKODA, Bentley, Bugatti, Lamborghini, Porsche, Ducati, Volkswagen Commercial Vehicles, Scania and MAN), operating 118 production plants in 20 countries across Europe and 11 countries in the Americas, Asia, and Africa. LEAFSKIN® is an ultralight green roof set up over pedestrian streets or squares, in order to create shadow areas in urban spaces. The tecnhology can also provide interesting implimentation like carring lighting system or advertising on the bottum. With a green and blue framework that supports ecosystem benefits, Utrecht aims to promote healthy urban living through an integrated and systemic approach that combines local climate regulation, noise reduction, recreation and cleaner air. Currently, its main instrument for protecting and improving green space is the 2007 Green Structure Plan. Despite legal protection, mangroves were being cleared for shrimp farming by non-local investors. In a multi-day workshop, the ideas was to learn from local community stakeholders and participating scientists about the problems surrounding the conversion of mangrove ecosystems to shrimp aquaculture. The present ecosystem services assessment and mapping has been mainly scientifically-driven, with the objective of this study being that of carrying out a first assessment of the capacity and flow of ES in the Maltese Islands (Central Mediterranean). ES capacity is defined as the potential of ecosystems to provide services appreciated by humans, while ES flow refers to the actual use of the ES and occurs at the location where an ES enters within a utility or production function. The URBES project focusses on functional diversity, urban ecosystem services and NBS, institutions, economics and resilience science and worked to translate research insights into principles, landscape designs and applications. It explores the drivers behind loss/enhancement of urban ecosystem services delivered by nature based solutions such as urban green space, monetary and non-monetary valuation of biodiversity and ecosystem services in the urban landscape and what are the most effective mechanisms for the governance of non-marketed ecosystem services. The objectives are create long term conditions for a metropolitan periurban park Confluence (Soutok in Czech) and introduce tools for coordinated and sustainable development of periurban landscapes. In Manchester, the EnRoute CityLab has been built on the three main ‘policy pillars’ relating to the environment in the city (Our Manchester: A vision for the Future; Manchester’s Great Outdoors: A Green and Blue Infrastructure Strategy for Manchester, and the Manchester Climate Change Strategy 2017-2050) and their core ethos of ‘biodiversity innovation and citizen action for nature’. The Municipality of Lisbon covers an area of 8 km2 and has a population of 506,892 residents (and about 300,000 commuters). The metropolitan area is larger and has a total population of 2,821,697 inhabitants (data from 2011). How a Green Infrastructure Strategy can inform a Regional Spatial and Economic Strategy for the Dublin City Region of Ireland. The main settlement in Ireland is the capital city of Dublin (Figure 1), which has a population of 1.2 million persons, nearly 1 in 4 of Ireland’s population. Dublin is supported regionally by key strategic county towns and an extensive rural hinterland, the population of the Greater Dublin area is approximately 2 million persons. Within the EnRoute Project, the challenge of the City Lab of Rome is to apply the urban-MAES framework on a multi-scale progression. The proposed project involves the areas cultivated in the northern part. It forecast an environmental naturalistic recovery and the conclusion of the overall environmental recovery of the entire extractive area. Utrecht is a fast growing and compact city with green ambitions. We have to respond to the challenges that lay ahead of us. We focus on Healthy Urban Living for Everyone, for all citizens because they have to live, work and play in it every day.